I am a model builder. 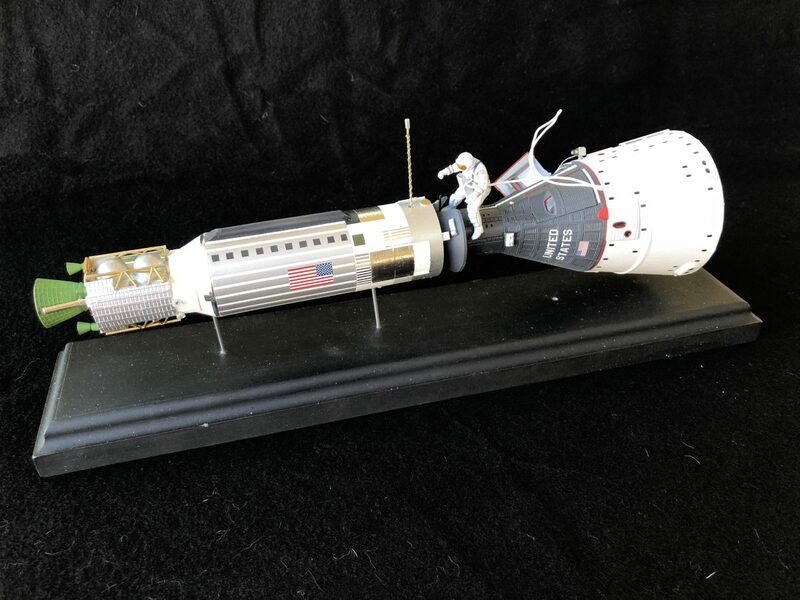 This is the old 1/48th scale Revell kit with an Agena kit from RealSpace Models and a 3D printed astronaut (Max Gruter design) via Shapeways. I added a lot of detail and of course all the assembly and painting. Eventually I plan to write an article on how this was built. This artwork is copyright © Michael Mackowski. All rights reserved.